December 13, 2015 By Elizabeth Lindemann 6 Comments / This post may contain affiliate links. 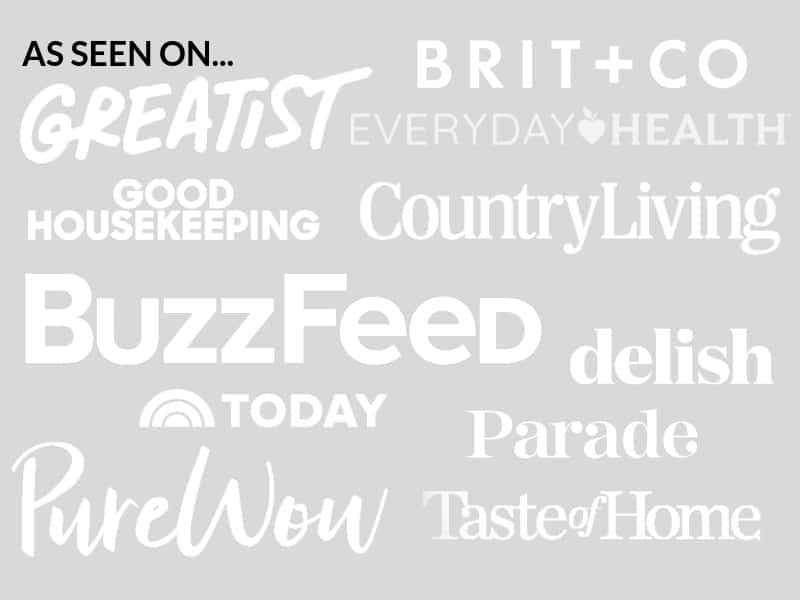 As a food blogger, I am often faced with a puzzle. If I have random ingredients x, y, and z just loitering around in my kitchen waiting to be used… what can I make from them? So, I do experiments. It’s one of the best parts of the job! I’ve always loved solving a good puzzle. Some experiments are disasters. But some are miracles. This is an example of such a miracle- a Christmas miracle!! Speaking of which, these would be an EXCELLENT breakfast for Christmas morning. What do you do when you have a bunch of fresh cranberries leftover from Thanksgiving in your freezer, some pecans, a small stub of fresh ginger from making skinny orange sesame chicken last week, and about a cup of milk from making Mexican hot chocolate to use up before it goes bad? 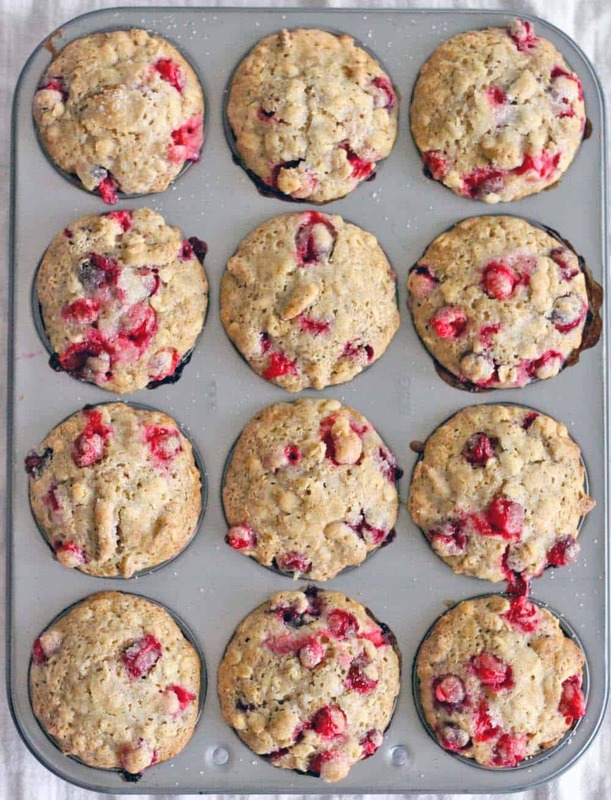 Make Cranberry Ginger Pecan Muffins, that’s what! These are some of the most delicious- and GORGEOUS- muffins I’ve ever made. Just look at that rich red color from the cranberries! Let’s talk about cranberries for a minute. They are so healthy– full of antioxidants, prevents infections such as UTIs, fights cancer, and even can help prevent cavities! And yet, we usually only eat them once during the year. These muffins are a delicious excuse to eat them year-round. They are, however, extremely tart on their own. Ever tried eating a raw cranberry straight up? I would recommend against it, based purely on taste. This is why this muffin recipe has more sugar than I would usually add, since I try and stay away from refined sugar. I think these muffins would be great with honey instead of brown sugar (like in my banana blueberry oat muffins recipe). If you try it out, let me know how it is in the comments below! In any case, they’re made with whole wheat flour and oats, olive oil, super healthy cranberries, pecans, and fresh ginger. I do believe the good stuff balances out the bad stuff here. Fresh ginger: store it in your freezer, peeled. Then, grate it directly from the freezer when you want to use it. It’s actually easier to grate from the freezer because it’s less stringy, and turns into a kind of powder. Buttermilk: I usually make my own! It’s very easy- just mix 1 tablespoon white vinegar with 1 cup of whole milk. I almost never buy buttermilk because it comes in large cartons and I only end up using a little bit, leaving me with a lot of waste. Adding vinegar to the milk thickens it (but doesn’t curdle it) and adds that acidic taste that buttermilk has. You can also use Greek yogurt, if you don’t have any milk. The only thing I wished I had to add to these muffins was orange zest. If you want, throw some in there for some extra sweet and tangy citrus flavor. I’ll leave you with one final suggestion: I STRONGLY suggest serving these grilled up with some butter. 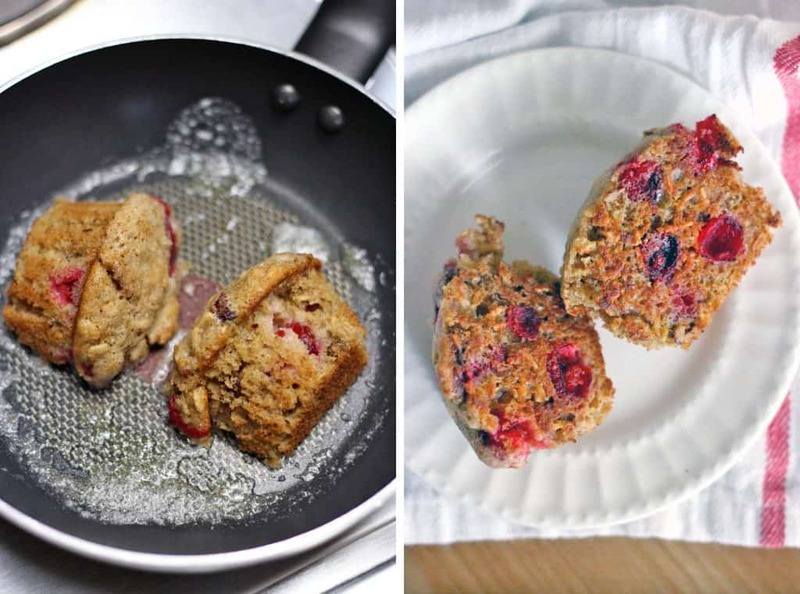 Just melt some butter in a skillet and cut a muffin in half. Heat the muffin on high for 1-2 minutes or until the bottom is toasty brown and covered in the melted butter. It’s the only way to eat a muffin, in my humble opinion. 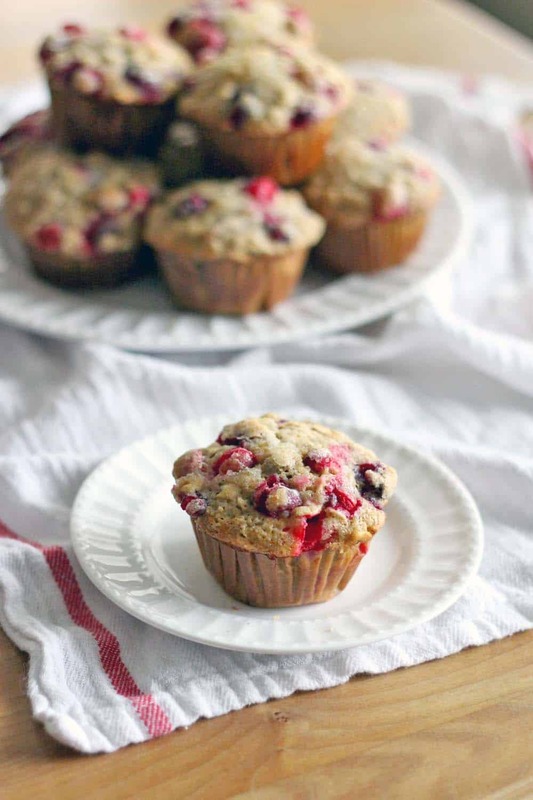 These muffins are healthy, hearty, and oh so tasty! 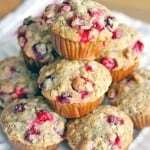 Perfect for Christmas morning, using the leftover fresh cranberries from Thanksgiving you have stored in your freezer! Preheat oven to 375 and line a muffin pan with liners. In a large mixing bowl, beat together eggs, sugar, ginger, oil, buttermilk, baking powder, baking soda, and salt. Stir in the oats and whole wheat flour until just combined. Fold in the pecans and cranberries. Divide batter into muffin pan, filling almost all the way. Sprinkle tops with extra sugar, if desired. Bake at 375 for 20-25 minutes, or until a toothpick inserted in the center of a muffin comes out clean. *Although I haven't personally tried it with this recipe, I think honey would be a great substitute for the brown sugar. I've done it in plenty of other muffin recipes and they've come out great! **You can freeze the leftovers- just defrost in the microwave for about 45 seconds when you need a quick and easy breakfast or snack! Super delicious! I used coconut oil instead of olive, no nuts, and a mix of sour cream and Greek yogurt with the vinegar instead of buttermilk – that’s what I had in the fridge. Baked for 25 mins here at very high altitude. They look beautiful and taste amazing. So glad you liked them! 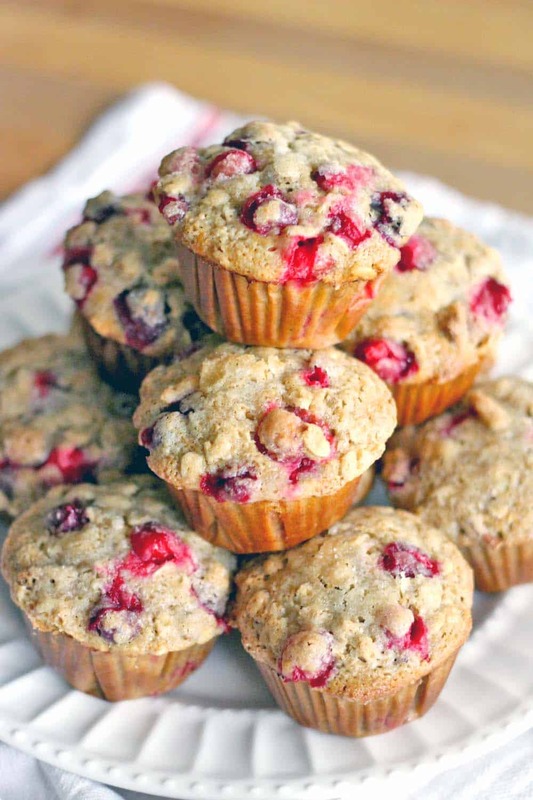 These are one of my favorite muffins, especially because they come out so pretty. Looks lovely, if I. Substitute the eggs for apple sauce, do I use the same amount of baking powder and soda? Hm- I’ve never done that before, but my inclination is to think that yes, you use the same amount. I’d love to hear how it works out for you! I like the way you think, Elizabeth! I admire people that can improvise in the kitchen like that. I am still so reliant on recipes. These muffins look beautiful! And the idea of grilling them to crisp them? Genius!